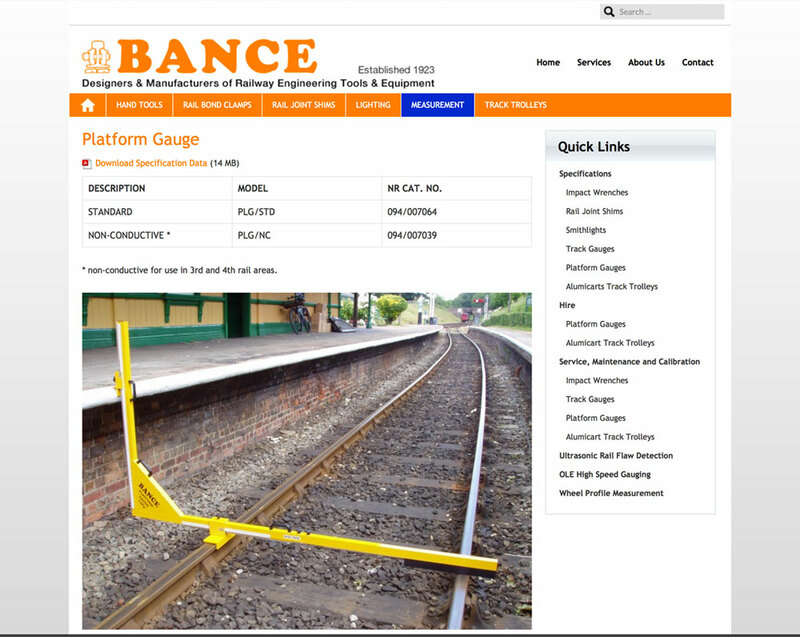 Working for Bance, designers and manufacturers of railway engineering tools and equipment, I designed and their new website. 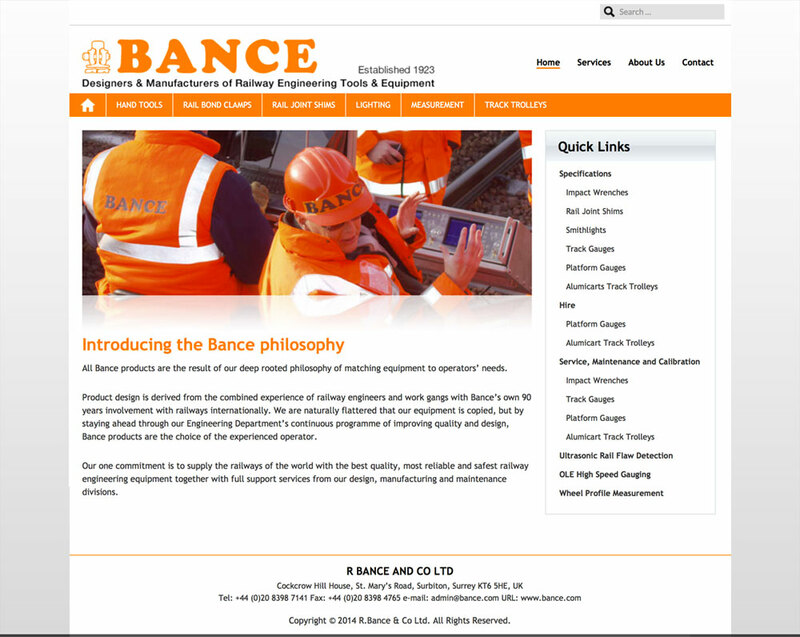 They wanted a clean, simple and easy to use site that was straight forward to navigate. 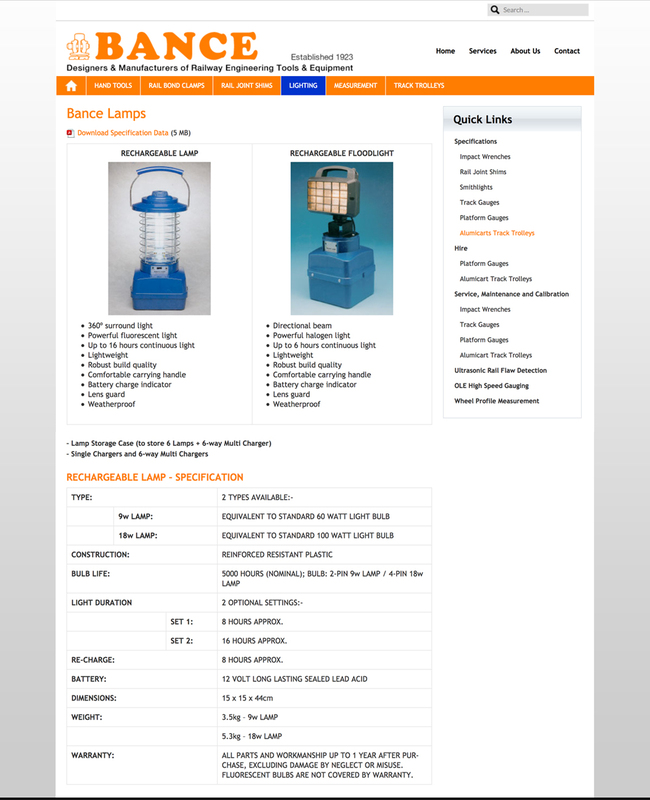 There was a lot of content for the site so creating adaptable page templates was important. I worked closely with the developer to ensure that my designs were properly translated to the screen. The client had a clear vision for what they wanted to achieve from the very start of the project. By taking on board all their comments and providing the client with my own suggestions we were able to work together and create a final design that everybody was happy with.